Though CRM is a valuable, beneficial solution for your business, it isn’t magic. CRM requires hard work that must be maintained and always evolving as your business does. When it goes stagnant, Ledgeview often finds it’s because of a number of reasons, stemming from lack of executive sponsorship to lack of ongoing training, etc. CRM is a discipline. Users must be logging in, using its functionalities, understanding its updates, and engaging in consistent training, among other educational tactics to keep themselves engaged. 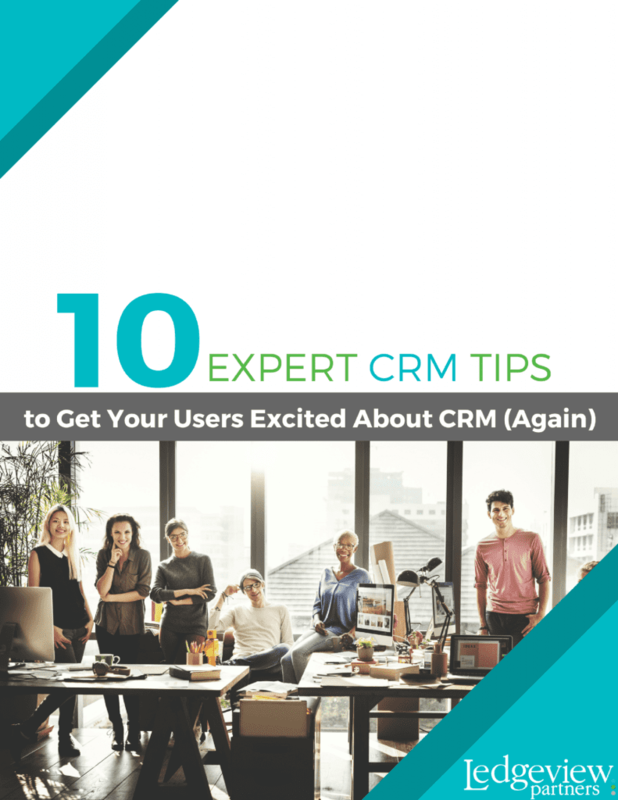 Give us a little information about you and we will give you 10 Expert Tips to Get Your Users Excited About CRM (Again).